Rehearsals are well underway for Oscar Wilde's hilarious classic the Importance of Being Earnest! 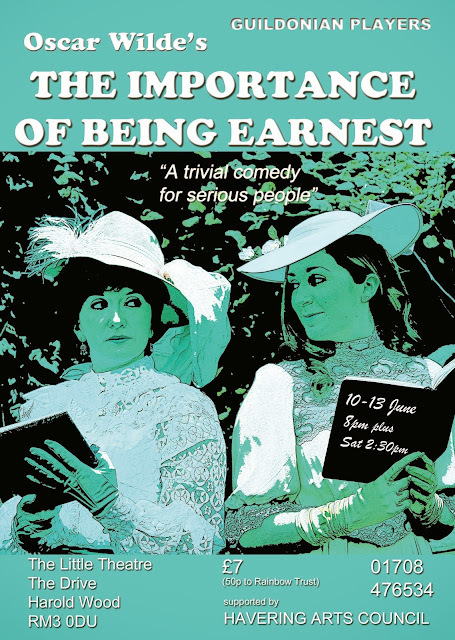 Performances are 10th-13th June at 8pm with an additional performance on Saturday 13th June at 2.30pm. Tickets cost £7 and are available from 01708476534 or on the door subject to availability. Be sure to book to secure your ticket!